​Hartford, Connecticut, March 9, 2018—Trinity College Research Associate Professor Terri Williams has been awarded a three-year, $600,000 grant from the National Science Foundation (NSF) to investigate the embryonic development of Tribolium, better known as the flour beetle. Williams had previously received an NSF grant in 2013 to study segmentation in arthropods—a diverse group of animals that includes flies, shrimp, crabs, and spiders—whose basic body plan consists of several repeated segments. Student Nicole Duan ’18 (left) and Trinity College Research Associate Professor Terri Williams (right) with Trinity alumna Sara Khalil ’15 at a symposium where Duan presented a poster in the fall of 2017. Williams holds a B.S. from Duke University and a Ph.D. from the University of Washington. She first began studying arthropods as an undergraduate student. While pursuing her Ph.D. in biomechanics, Williams wrote her thesis dissertation on the mechanics of swimming in shrimp. During her research, she was interested in how these mechanics changed as the animals developed and added segments. “Studying beetle segmentation seems very specific, but humans are segmented, too,” Williams said. “While we see segmentation more clearly in arthropods like beetles or shrimp, it turns out that a lot of the animals on Earth are segmented.” The prevalence of segmentation throughout the world makes it a popular area of study for scientists. “The basic design of a body plan made of repeated parts has proven to be a successful strategy for animals throughout evolution,” Williams said. Hartford, Connecticut, February 28, 2018—Trinity College Professor of Anthropology James A. Trostle is a co-principal investigator on a research study that has received a grant award of $2,666,768 from the National Institutes of Health (NIH). The University of Michigan is the primary grantee, with $209,745 designated for Trinity College. The grant, supporting research launched in September 2017, will run until September 2021. Trostle (pictured, left) joins Joseph Eisenberg, the principal investigator from University of Michigan, and a team of scientists from Universidad San Francisco de Quito in Ecuador, Emory University, Universidad Central del Ecuador, University of California Berkeley, as well as others from University of Michigan. 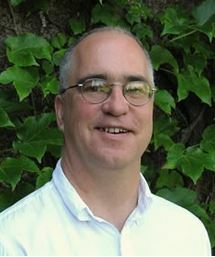 As a co-principal investigator, Trostle is responsible for coordinating the collection of the social and cultural data required for the project. The project, Zika and Dengue Co-Circulation Under Environmental Change and Urbanization, will examine the development and the spread of two diseases—Zika and Dengue, both infectious diseases transmitted by the same mosquito species. The project builds on Trostle’s prior research into infectious diseases and represents the fifth in a series of larger research projects Trostle has conducted in Ecuador. There have been more than 1.5 million cases of Zika reported worldwide since its recent emergence. Dengue infects more than 50 million people worldwide each year but does not cause the same symptoms seen in Zika. The spread of both viruses will be studied to provide insight into the impacts that economic development and, ultimately, urbanization have on the transmission of these infectious diseases. Key to intervention to limit the spread of the disease is understanding the construction of new roads and their impact on the social network structure and movement of residents in previously rural communities in the Ecuadorian province of Esmeraldas in northern coastal Ecuador. Trostle, a Trinity College faculty member since 1998 and adjunct professor at the School of Public Health at the University of Chile since 2015, has spent close to two decades studying the relationship between diseases and their transmission in rural and urban communities. His work in epidemiology has spanned more than 25 countries in his career. The ultimate goal of the team’s work is to better understand how diseases move across landscapes. “Horses, canoes, or on foot,” Trostle said, “That’s how people got around before. Now with the construction of a road, how will this impact the health of that community?” Trostle noted that remoteness matters to disease rates, and in previous studies, the more remote villages were, the healthier they were. This study will help to explore social relationships that develop with more connectivity between people and villages, and how this interaction influences the transmission of diseases. The NIH funding is the fifth substantial grant this project has received, adding to previous funding from NIH and the National Science Foundation. This grant, in addition to covering Trostle’s time and travel to Michigan and Ecuador, will engage Trinity students through two student research stipends per year, including one expenses-paid trip to Ecuador for summer research. Trostle was enthusiastic about the benefits for students who work on this endeavor, saying, “This type of study demands a level of detail in interviewing and observation that will help students involved to be better researchers and develop other critical skills.” The funds from the NIH grant will allow up to eight Trinity students to become intimately involved in the project over four years. About Trinity College: Founded in Hartford, Connecticut, in 1823, Trinity College (www.trincoll.edu) is an independent, nonsectarian liberal arts college with more than 2,200 students from 45 states and 67 countries. It is home to the eighth-oldest chapter of Phi Beta Kappa in the United States. The faculty and alumni include recipients of the Pulitzer Prize, the MacArthur award, Guggenheims, Rockefellers, and other national academic awards. Trinity students integrate meaningful academic and leadership experience at all levels on the College’s celebrated campus, in the capital city of Hartford, and in communities all over the world. 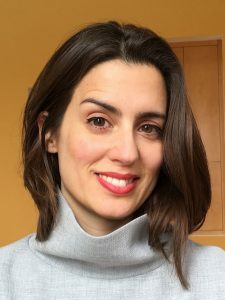 Hartford, Connecticut, January 19, 2018 – Trinity College Associate Professor of International Studies Janet L. Bauer has received a Fulbright Global Scholar grant—an award designed to support multicountry, transregional projects—for her research project on The Social Geographies of Islam in Diaspora: Race, Gender, Generation, and Place. With this $25,690 Fulbright award, Bauer is engaged throughout the 2017-18 academic year in research at sites in Canada, Germany, and Trinidad and Tobago. Bauer’s area of specialization is the ethnography of mobility and gender in Islamic societies, a focus that began when she was a graduate student at Stanford University, where she earned both her M.A. (1976) and Ph.D. (1981) in anthropology. During the past 25 years, she has continued to address questions about Muslim women in diaspora through her longitudinal research, following the same populations over several generations in different Muslim-minority societies. This includes ongoing collaborative research with her Trinity students working among refugee groups in the metro Hartford area. Bauer, a Trinity faculty member since 1984, completed the first segment of her Fulbright project during fall 2017, conducting research in Trinidad and Tobago, hosted by the Institute for Gender and Development Studies at The University of the West Indies. Beginning in February 2018, she will be based for three months at the Institute on Globalization & the Human Condition at McMaster University in Hamilton, Ontario. Then, from May to July, she will be in Germany, where her host institution will be the Max Planck Institute for the Study of Religious and Ethnic Diversity in Göttingen. “Each of these sites provides a unique set of circumstances for better understanding the challenges faced by Muslim women in Muslim-minority contexts,” Bauer said. “This includes anxieties that can arise within Muslim communities because of ethno-cultural differences in religious traditions or generational differences, as well as pushback from non-Muslims. Bauer’s current Fulbright project builds upon her prior research projects, which include: “The Americanization of Muslim Refugees in a Majority-Minority City: Understanding Black-Latino-Refugee Relationships in Hartford;” “Race, Gender, and Community in Muslim Trinidad;” and “Iranian Women and the Politics of Exile.” Her current research, she noted, will further inform her work with Trinity students and with Muslim communities in Hartford and elsewhere around the world. She plans to produce a book-length monograph on gender and race in Muslim diasporas following her return to Hartford from Germany. Since 2014, Bauer has served as a commissioner on the City of Hartford’s Commission for Refugee and Immigrant Affairs. She is a moderator for the “Honest Conversations with Your Muslim Neighbors” program of the Connecticut Council for Interreligious Understanding. She also is active with local organizations supporting immigrants in Hartford, including the Asylum Hill Neighborhood Association Welcoming Committee, the South Marshall Interfaith Coalition, and Hartford Public Library’s Immigrant Advisory Group. The Fulbright Program is the flagship international educational exchange program sponsored by the U.S. government and is designed to increase mutual understanding between the people of the United States and the people of other countries. The Fulbright Program is funded through an annual appropriation made by the U.S. Congress to the U.S. Department of State. Participating governments and host institutions, corporations, and foundations around the world also provide direct and indirect support to the program, which operates in more than 160 countries worldwide. Trinity College Assistant Professor of Language and Culture Studies Rosario Hubert has been awarded an American Council of Learned Societies (ACLS) Fellowship for 2017-2018. The fellowship will enable Hubert to work on her book project, Disorientations: Writing China in Latin America. The project argues that the intellectual discussion of China in Latin America has not taken place within academia, but rather in a network of discourses around criticism, the literary market, fiction, and diplomacy. “I am very thrilled to have obtained this prestigious fellowship because it is not strictly about my own field of specialty, but rather the humanities in general,” Hubert said. This year, 71 fellows were selected through ACLS’s multi-stage peer-review process from a pool of nearly 1,200 applicants. Hubert received her Ph.D. at Harvard University, where she began this book project as her dissertation. As a native of Argentina, Hubert said she has always had an interest in relations between regions of the world not immediately connected. “It’s common to think of connections between Latin America and other regions of historical significance like Europe and the United States, but it is not usual to find connections between Latin America and Asia or Africa,” she said. When it comes to literature, Hubert noted, connections are usually mediated by the literary market in Europe or the English-speaking world. Hubert’s project focuses specifically on bridging the gap in scholarship between Latin America and China. Her project involves tracing different historical moments which see an increasing interest in writing about China. For example, Hubert noted that in the 19th century, a significant amount of fiction and journalism discussed China due to the large waves of immigration from that country at the time. That is also the case with the creation of the Peoples Republic of China in 1949 and the emerging discourses of the Third World, Hubert said. By scrutinizing 19th-century ethnographies, modernist translations, Maoist print culture, concrete poetry, and contemporary narrative, this project gathers an unprecedented archive of China in Spanish and Portuguese, and proposes a comparative entryway into the study of Asia and Latin America. For the next chapter of her book project, Hubert plans to write about intellectuals who traveled to China in the context of the Chinese Revolution and who then returned to publish what they had learned and experienced during their time in China. Hubert analyzes both the historical aspect of these publications and the rhetorical strategies of their translations. She notes that many translations were not direct but rather done through English or French first. What we see today, she argues, is an increase in direct translations between Chinese and Spanish because of the new generations of scholars trained in Chinese studies. Hubert said that she hopes that her work will “provide questions and answers that not only relate to this topic, but that explain how culture circulates in general and how geographical distance is a category worth analyzing between when looking at world literature.” Hubert noted that this fellowship is a very valuable platform to help make her work visible beyond her own field of study and to help her speak to a larger audience in the humanities. The American Council of Learned Societies is a federation of national scholarly organizations that are dedicated to the promotion of research, publication and education in the humanities and related social sciences. One of the Council’s primary activities is to advance academic inquiry through the awarding of its prestigious fellowships. Last year, ACLS awarded more than $18 million to more than 300 scholars across a variety of disciplines. 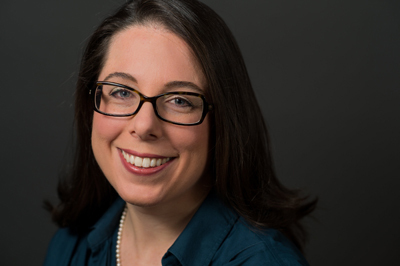 Michelle Kovarik, assistant professor of chemistry at Trinity College, has been designated a Cottrell Scholar by the Research Corporation for Science Advancement. This prestigious award, with an acceptance rate of 14 percent, recognizes the accomplishments of early-career faculty in chemistry, physics, and astronomy by providing them with support for research and curriculum development initiatives. In addition, scholars become members of the Cottrell Scholar Collaborative, a community of leaders from research universities and undergraduate colleges, with opportunities for networking, collaboration, and additional funding. The research element of Kovarik’s award explores the concept of biological noise, an observable phenomenon whereby cells that are genetically identical respond to situations differently. The reason behind this, she explained, has to do with the cell’s internal processes. 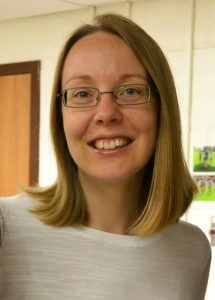 With the help of this grant, Kovarik and her students hope to answer the question, “What is the chemical mechanism behind the fact that these cells might be genetically identical but respond to a stimulus or stress in different ways?” A portion of the funds will support stipends for students working in her lab over the summer. As for the curriculum portion of her project, Kovarik will develop curriculum materials to help students read primary-source scientific literature directed at the scientific community. Furthermore, she will incorporate the use of those materials into her own classes and disseminate the curriculum to teachers of analytical chemistry at other institutions across the country. This is the second grant that Kovarik has received during her time at Trinity. Last summer she was awarded a National Science Foundation grant and has worked in collaboration with Trinity students at various points in their college careers, ranging from first-year students involved with the Interdisciplinary Science Program (ISP) to seniors working on theses in her lab. “One of the reasons that I wanted to work at Trinity was because the support for undergraduate research is so strong,” Kovarik said. 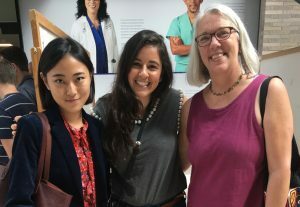 This experience, she said, “gives students a critical opportunity to develop as scientists while they are here so that when they leave, they are very productive.” Kovarik is currently working on this grant project with Kathy Rodogiannis ’17, a biology major, and Jessica Duong ’19, a chemistry major. Over the summer she will oversee four students in her lab. Yipeng Shen, associate professor of language and culture studies and international studies at Trinity College, has been awarded an Andrew W. Mellon Mid-Career Research Fellowship at Yale’s Whitney Humanities Center for 2017-2018. The fellowship, which supports a year of intensive work, will allow Shen to complete his book, Globalization and Chinese Youth Culture. The project assesses five areas in which urban youth life intersects with globalization in China: food, love, nationalism, environmentalism, and historical memories. Shen is taking a deep look into the factors shaping contemporary China by examining how millennials make life choices. 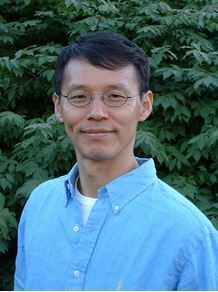 Shen previously authored Public Discourses of Contemporary China, which examines popular culture and nationalism in China. According to Shen, during the intellectual journey of writing his first book, he realized there are different angles to explore culture beyond race, gender, and class. For his current project, he wanted to take a more specific approach in his research. “Age may be as important a factor to distinguish and make differences in the formation of any kind of meaningful activities in contemporary culture, hence my interest in youth culture,” he said. After leaving China in 2003 and living in the West for the past 15 years, Shen realized his own knowledge about China was limited. Completing Globalization and Chinese Youth Culture gives him the chance to rediscover and re-identify his connection with China. “I believe it is a nice opportunity to build my own spiritual sanctuary at an age of uncertainty –in terms of both my own intellectual life and the 21st century world,” he said. 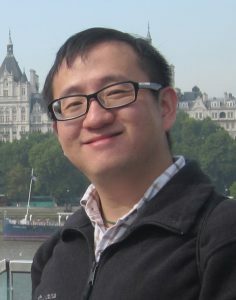 This fellowship is particularly significant for Shen because it provides an opportunity to “refine through communications with the world, books, and other people of similar interest, what we know and do not know.” He noted that the prestigious Mellon Mid-Career Research Fellowship has given him – a non-native English speaker who has worked very hard for a long time in United States academia – acknowledgement and encouragement. Shen is the second Trinity College faculty member in the past two years to receive a Mellon-Mid Career Research Fellowship at Yale’s Whitney Humanities Center. 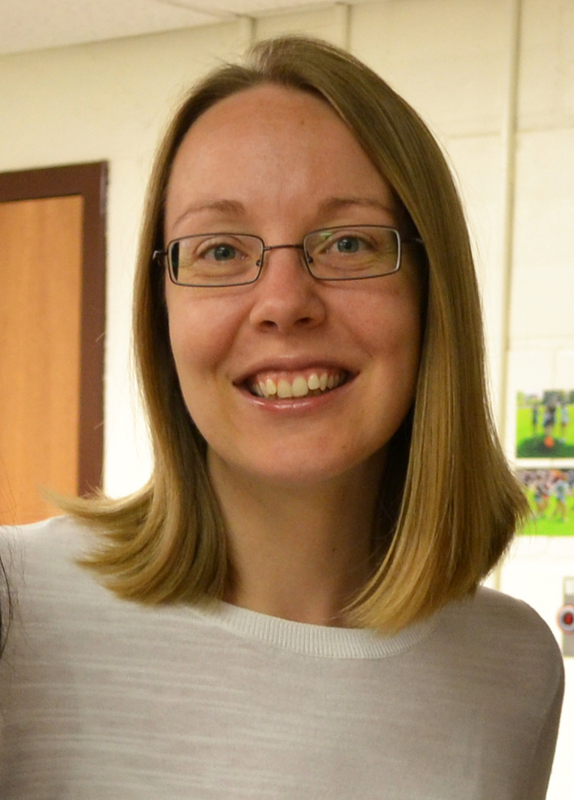 (Lida Maxwell, associate professor of political science, was awarded a fellowship last year.) 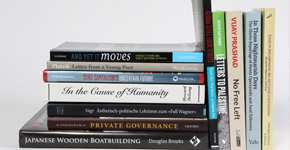 The Mellon Program supports faculty research in the humanities and related fields while promoting intellectual exchange among faculty, fellows, and other visitors to the Whitney Humanities Center. 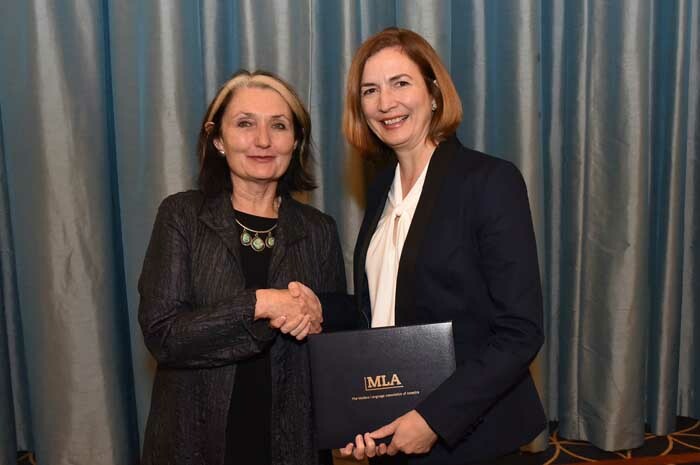 Trinity College Dean of Academic Affairs and Charles A. Dana Research Professor of Language and Culture Studies Anne Lambright (right) receives the Modern Language Association of America’s Katherine Singer Kovacs Prize from Diana Taylor, first vice president of the MLA. Photo by Edward Savaria, Jr., courtesy of the Modern Language Association. 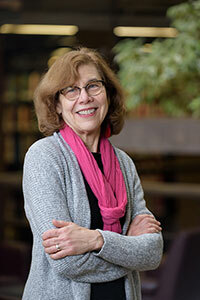 Trinity College Dean of Academic Affairs and Charles A. Dana Research Professor of Language and Culture Studies Anne Lambright recently received the Modern Language Association of America’s 26th annual Katherine Singer Kovacs Prize. 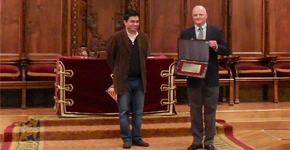 The award – which honors an outstanding book published in English or Spanish in the field of Latin American and Spanish literatures and cultures – was presented in recognition of Lambright’s book, Andean Truths: Transitional Justice, Ethnicity, and Cultural Production in Post–Shining Path Peru, published by Liverpool University Press. 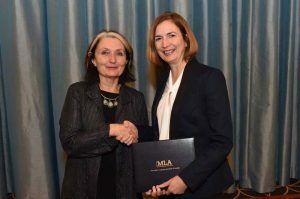 Seventeen awards were presented on January 7 during the MLA’s annual convention, held in Philadelphia. Lambright said it was a true honor to receive this recognition of her work. “I was one of only two [MLA award] recipients from a small liberal arts college; the rest were from prestigious Research 1 institutions,” she said. “I think this fact speaks to the kind of work possible in a place like Trinity, which deeply values interdisciplinary research and teaching and provides the time and spaces for close interaction among a diversity of scholars. 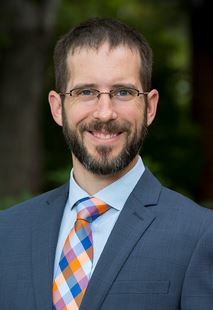 Lambright joined the Dean of the Faculty’s Office at Trinity College as Dean of Academic Affairs on January 1 of this year, taking up the position vacated by Professor of Political Science Sonia Cardenas, who was recently named Dean of Academic Affairs and Strategic Initiatives. 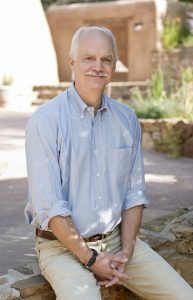 Lambright will sit on the Curriculum Committee and currently co-chairs the Global College subcommittee of the Bicentennial Strategic Planning Commission. In addition to Andean Truths, Lambright is the author of Creating the Hybrid Intellectual: Subject, Space, and the Feminine in the Narrative of José María Arguedas and is coeditor of Unfolding the City: Women Write the City in Latin America. She has also published articles on gender, ethnicity, human rights, and national identity in Andean literature and culture. Her current project is a critical anthology and translations of selected human rights plays by Grupo Cultural Yuyachkani. The other winner of the Katherine Singer Kovacs Prize was Enrique Fernandez, of the University of Manitoba, for his book, Anxieties of Interiority and Dissection in Early Modern Spain, published by the University of Toronto Press. Núria Silleras-Fernández, of the University of Colorado, Boulder, received an honorable mention for Chariots of Ladies: Francesc Eiximenis and the Court Culture of Medieval and Early Modern Iberia, published by Cornell University Press. Founded in 1883, the Modern Language Association of America and its 25,000 members in 100 countries work to strengthen the study and teaching of languages and literature. 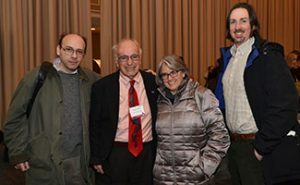 The Katherine Singer Kovacs Prize was established in 1990 by a gift from Joseph and Mimi B. Singer, parents of the late Katherine Singer Kovacs, a specialist in Spanish and Latin American literature and film who taught at Stanford University, the University of Southern California, and Whittier College. More information on MLA programs is available at https://www.mla.org.